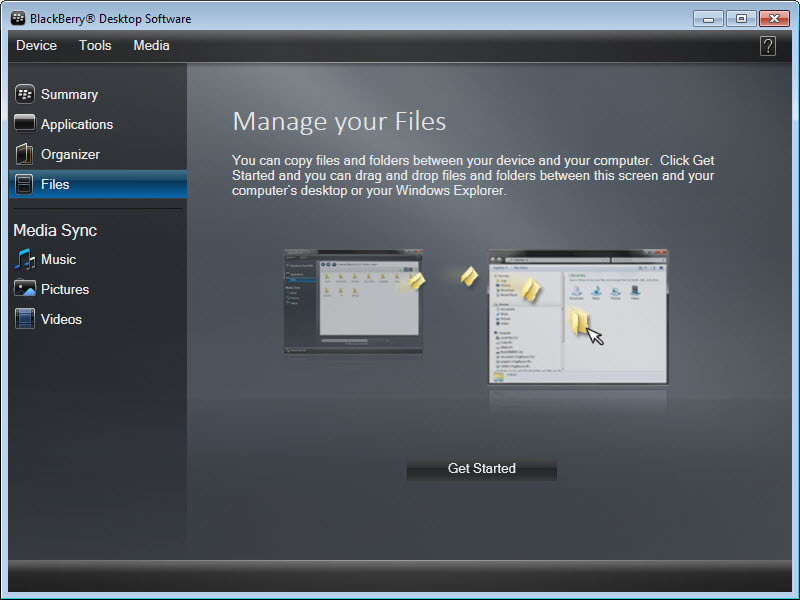 BlackBerry Desktop Software is the interface between your BlackBerry device and the computer. 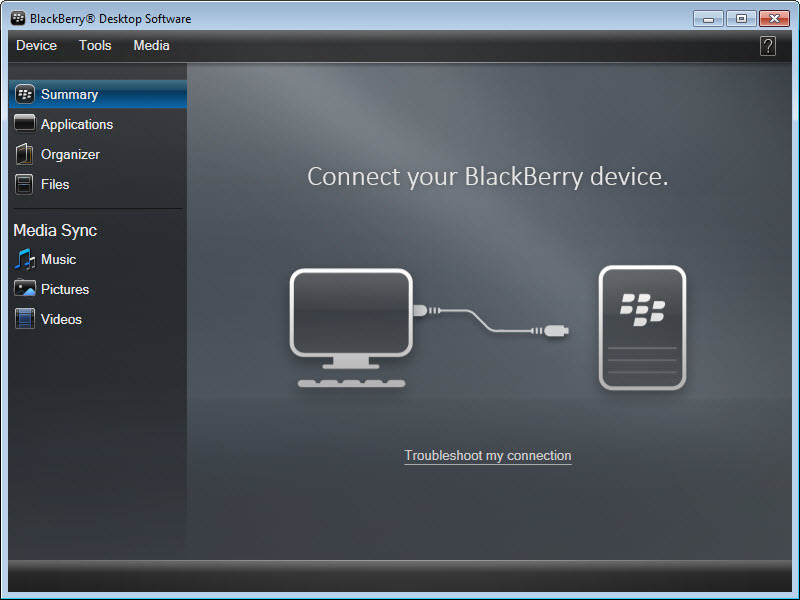 Compatible with BlackBerry PlayBook tablet and with any smartphone running on BlackBerry 7.1 OS or earlier, this application simplifies the process of data synchronization. 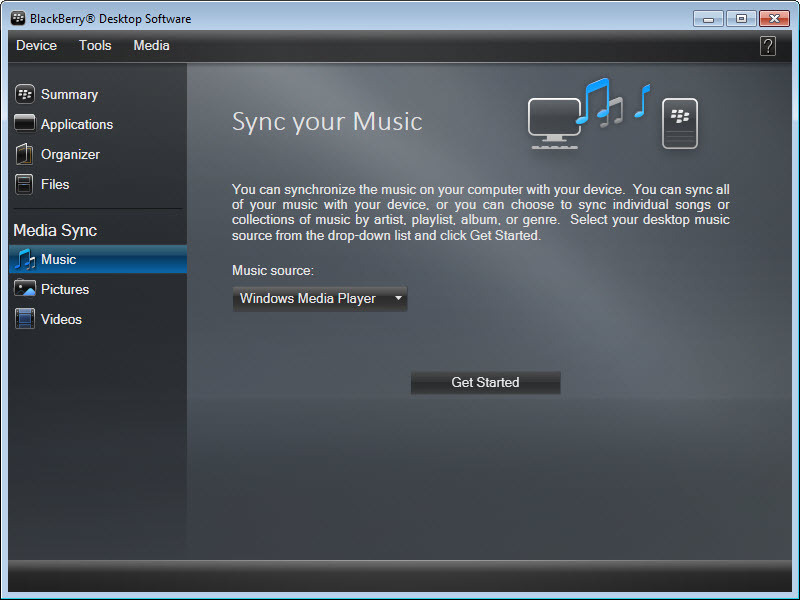 Media files can even be transferred from your iTunes or Windows Media playlists to the mobile device. 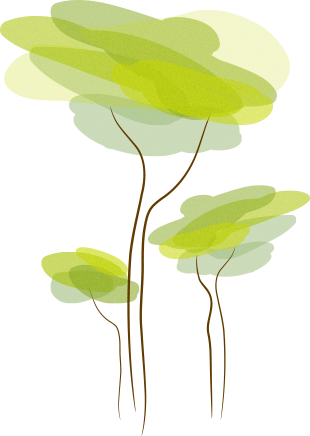 Apps can be analyzed in terms of number of uses, and functionality. Whether unsatisfied or not with them, you can always choose to install other apps through this dedicated software solution. The smart phone’s software is kept up-to-date, and you will be sure not to skip tasks thanks to the organizer sync option, compatible with Microsoft Outlook, IBM, Lotus Notes, and Yahoo. 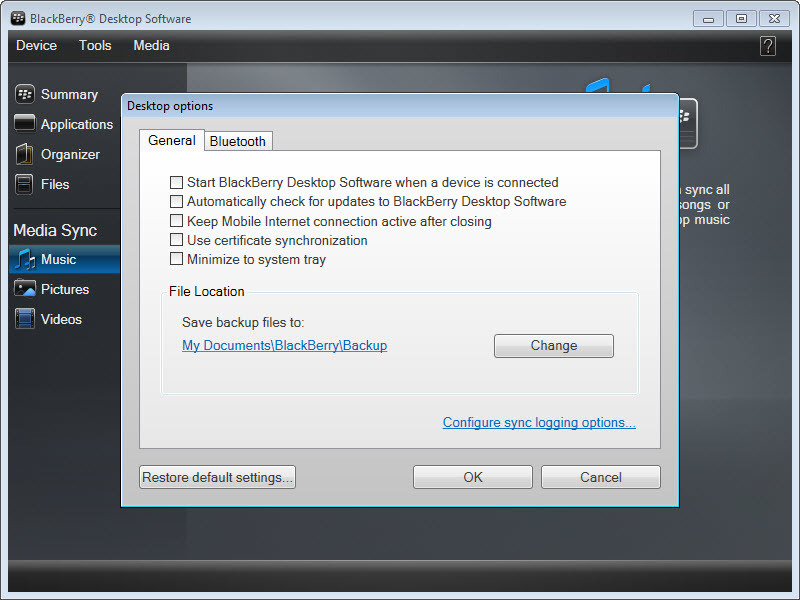 And if users upgrade to another BlackBerry phone, a device switch wizard will copy all selected data from one device to the other.